Whether you choose fresh or frozen foods can impact your budget, nutritional intake, and shelf life of your food. Many people have the impression that fresh foods are always better than frozen or canned foods. While there may be some truth to this, some frozen foods are comparable -- or even a better option in some cases -- than fresh foods. In general, frozen foods are less expensive than fresh foods, notes Beth Israel Deaconess Medical Center. This is especially true for frozen fruits and vegetables. Canned foods are often cheaper yet, but may contain added sugar or sodium. If you're trying to pinch pennies, choose frozen over fresh foods when possible. When it comes to convenience and shorter prep times, frozen foods are again the better option. Frozen foods often come ready-to-eat, which reduces food prep time. For example, frozen fruits and veggies are usually already rinsed and chopped into bite-sized portions. Frozen pre-packaged meals are also ready-to-eat and simply need to be heated or baked. So if you're tight on time while in the kitchen, choosing frozen foods over fresh foods is generally more convenient. Frozen foods can be stored longer than fresh foods. Fresh foods often stay fresh for a few days up to one week, but frozen foods last much longer than that in your freezer. In fact, some frozen foods are safe to eat for up to 12 months after the purchase date, according to the U.S. Department of Health and Human Services. If you want to avoid throwing away spoiled food that doesn't get eaten in time, frozen food is again a solid option. Many people assume that fresh foods are richer in nutrients that frozen foods. This may be the case, according to MedlinePlus. However, just because a food is fresh doesn't necessarily mean it's more nutritious. The ripeness of produce, time of year it was harvested, and type of soil it was grown in affects the nutritional value of fresh foods. Food preparation also plays a role. For example, boiling vegetables too long eliminates many essential nutrients naturally present in those veggies. The Arthritis Foundation notes that sometimes fresh foods lose nutritional value during transport and storage, giving frozen foods an edge up nutritionally. Beth Israel Deaconess Medical Center confirms that long transportation and storage times can cause fresh produce to lose some nutritional value, but frozen fruits and veggies are usually packaged right after harvest when nutrient levels are at their peaks. While most frozen produce doesn't contain sodium, added sugar, preservatives, or artificial ingredients, some frozen foods -- like ready-made frozen dinners -- do contain such additives. Getting too much sodium in your diet increases your risk for high blood pressure, and excess added sugar contributes to unwanted weight gain. Fortunately, there are frozen dinners available that are healthy, free from artificial ingredients, lack added sugar, and are lower in sodium, so check the nutrition facts label when purchasing such frozen foods. Whether you should choose fresh or frozen foods really depends on your lifestyle, budget, and food preferences. 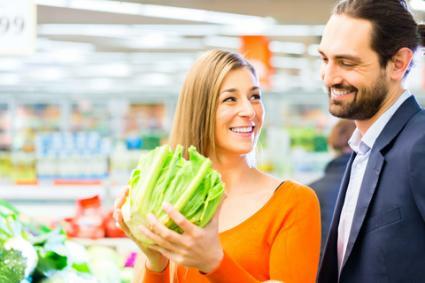 Fresh foods are generally accepted as being the healthier choice, but in many cases frozen foods are just as nutritious, more convenient, and cheaper. As long are you're choosing healthy foods aren't high in sodium or added sugar, fresh and frozen foods are both excellent options.